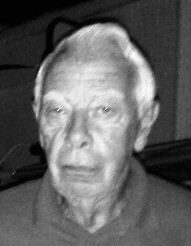 Paul W. Hoffman, 85, of Tiffin, passed away on Wednesday morning, January 16, 2019 at his home. He was born on May 16, 1933, in Tiffin, Ohio, to Earl W. and Edith E. (Button) Hoffman. On September 3, 1955, he married Martha Jane Enders. Survivors include his wife, Martha of Tiffin; sons, Richard William Hoffman and Michael Allen (Judy) Hoffman, both of Tiffin and Kenneth Charles (Lori) Hoffman of Plankton; daughter, Karen Louise (Thomas) Sullivan of Findlay; six grandchildren; and fifteen great-grandchildren. He was preceded in death by his parents; son, Thomas Earl Hoffman; and sister, Louise Katherine Reinhart. Paul graduated in 1952 from Tiffin Columbian High School and served in the United States Army, stationed in Austria during the Korean War, from 1953 to 1955. He worked at General Electric from 1953 to 1985 and was a member of St. Mary Catholic Church and life member of Green Springs VFW Post 6067. Paul loved fishing and boating at Lake Erie for many years, spent summers since 1969 at Turtle Pointe Marina and enjoyed trap shooting. Memorial contributions may be made to Muscular Dystrophy or to Community Hospice Care.